1977 saw the first novelty league which was won by Sekondi Hasaacas. The Football Association at the time decided to organize a Novelty League after Head of State General Kutu Acheampong sent Black Stars team - full of locally-based players - to camp in Brazil to prepare for the 1978 Africa Cup of Nations which Ghana were the host. Although the decision disrupted the league, it proved to be a wise one as Ghana won the tournament. 2004 saw the rebirth of the novelty league. 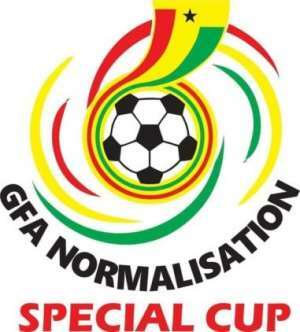 This start of the league was delayed due to litigation, leading the GFA to introduce Ghana's first zonal top flight league which saw Hearts of Oak and Asante Kotoko reach the finals after topping their respective zones. The Phobians, however, won the ultimate prize with a 1-0 victory in the final. On Sunday, Ghanaians will once again have a feel of the Novelty League with matchday 1. The top liner will be in Zone A (North) as Asante Kotoko welcome Aduana Stars to Baba Yara Stadium in Kumasi. The Porcupine Warriors have the advantage of having been active in the past four months, competing in Caf Confederation Cup. AshantiGold will hope for a better start at the Len Clay Stadium in Obuasi against Eleven Wonders while Medeama and Stallions FC - formerly Wa All Stars - take on Berekum Chelsea and Bechem United respectively. In Zone B (South), Hearts of Oak coach Kim Grant face a tricky test in his quest to win his first competitive game. His side host Dreams FC, who in recent years have been bogey side of the capital-based club. Ebusua Dwarfs will fancy their chances against Karela United at home while WAFA versus Liberty and Inter Allies versus Elmina Sharks games promises to be exciting.